This post about Vancouver with kids is sponsored by the accommodation website Wimdu (which named Vancouver one of the world’s most livable cities). You can always count on me to disclose when I’ve been compensated for the work I do. One glaring gap in my family travels is the swath of North America from Northern California to British Columbia. I can’t wait to travel to San Francisco and head north with my seven- and ten-year-old boys. And the place I’d most like to visit is Vancouver, which I’ve been to twice without my children, and which is about as family-friendly a destination as you could ask for. My second visit to Vancouver came when my husband Matt and I were there in early June of this year. This time around I made even more discoveries about the things I’d like to do there with my kids. I already knew that biking around Stanley Park was on my agenda, but hadn’t had a chance to cover the rest of the seawall that surrounds the city. I’ve now biked around Stanley Park twice, but on this last trip I realized that the park and the attractions it contains bear more exploring, in particular the Vancouver Aquarium, the largest in Canada and by all accounts the perfect thing to do on rainy days. Matt and I spent an entire day on Granville Island, and I’m pretty sure the kids would want to do the same, especially if we visited that same weekend, which is when the annual Vancouver International Children’s Festival is held there. We saw tons of activities for kids including crafts like making shadow and sock puppets. There are also performances by numerous musicians and acrobats from around the globe (there are a number of venues and stages throughout the island). 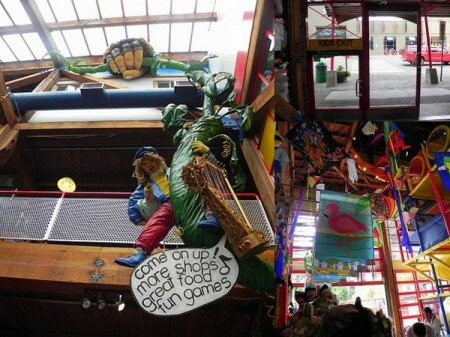 That’s on top of Granville Island’s everyday fun for families including the large Kids Only Market and the Granville Island Pubic Market where kids and grownups alike can happily munch on everything from fresh fruit to artisanal cheese. And although winter might not be the time most people think of going to Vancouver with kids (I’ve heard it is just a wee bit rainy), I’ve also heard that the skiing at Whistler-Blackcomb is pretty terrific, and it’s less than two hours away. I’m thinking that a mix of snow and city might make a fantastic family vacation. Have you been to Vancouver with kids? I’d love to hear what your favorite activities were. Vancouver is listed among my all time favourite destinations. 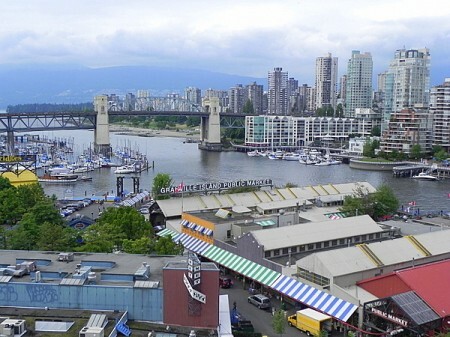 I have heard a lot about Vancouver and it seems it is your one of the favourite destinations. Thanks for sharing such a wonderful blog.